Yang-style Taiji Quan is praised highly by common people for its function of building up body. Some deformed persons also hope for exercising Yang-style Taiji Quan to improve their health. Required by numerous disabled persons, teacher Fu Sheng-yuan was deeply moved and inherited his father's teaching. 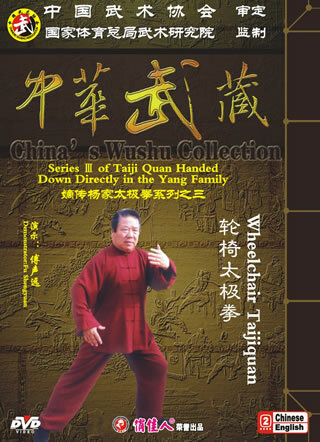 In order to propagate Yang-style Taiji Quan more extensively and improve the health of the disabled, Teacher Fu Sheng-yuan combined the traditional set pattern of Yang-style Taiji Quan and the disabled person's actual conditions, and created 28 Postures of Wheelchair Taiji Quan in 1986. Through years of practice and improvement, the 28 Postures of Wheelchair Taiji Quan has won the favor of many disabled persons and persons with disabled lower limbs and the elderly to whose health it has made a contribution.